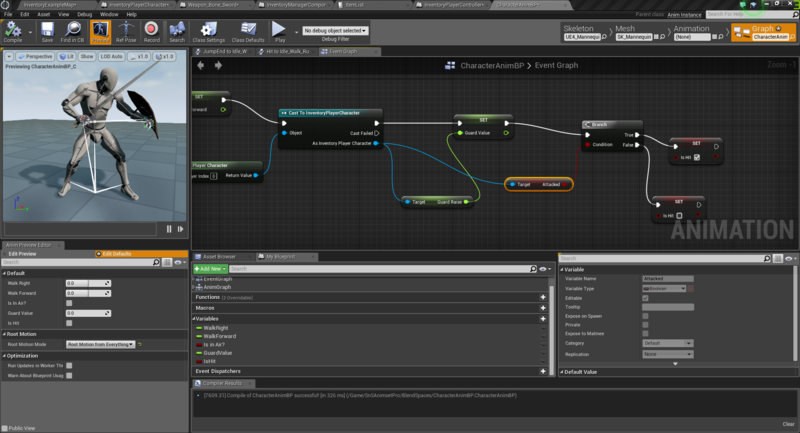 Hi, Very quickly I was wondering if there was a possible way to enable/play a Root Motion animation with the "Play Animation" node. However, it would just play the animation on the spot without applying the root motion movement.Basically ignoring that there is any movement in the animation. I have looked for Root Motion Nodes but none seem to be compatible (wrong direction). So, as a test to make sure the root motion works within my AnimBlueprint I added it to the locomotion and instead of just using the Play Animation Node I instead got it to work with my event AnimBlueprint. By setting as attacked in my PlayerCharacter when I want it to play the animation, and then checking if that is true in the AnimBP. Doing so works fine and the movement is applied. However, it will be a pain to go and add all my attacks I set up in my PlayerCharacter into the AnimBP. So, using the "Play Animation" node or something like it in my PlayerCharacter, is it possible to make sure RootMotion is applied properly without using the AnimBP? Note: I am not lazy not to do this, I am just sure there must be a way. It will save a lot of time and will be something handy to learn for future reference. If there is no way, let me know also of course. Try using the Play Animation Montage node instead of the play animation, you'll have to create a AnimationMontage, and make sure the EnableRootmotion checkbox in the actual animation is checked. 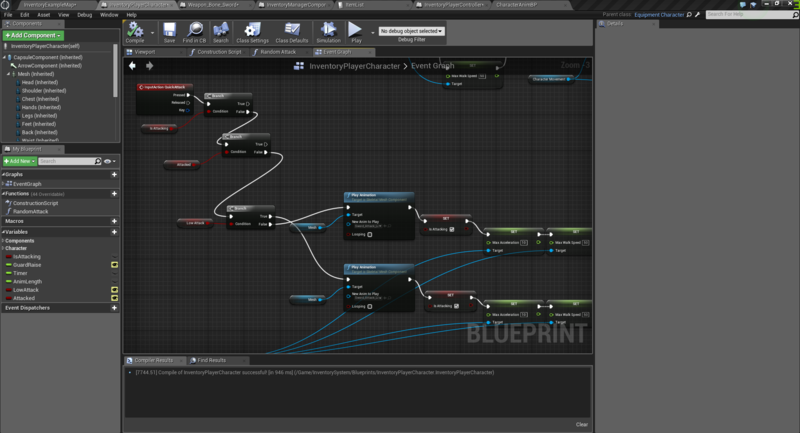 Also make sure that the AnimationBlueprint uses Rootmotion from montages only or Rootmotion from everything. How to set up a blueprint for locomotion for all root motion animations? How to control movement with root motion and animation blueprints? "Process Root Motion" while playing?